Antitrust laws and proceedings in Europe, both at the Community and national levels, shape the European and international business landscape profoundly. It is therefore essential that business leaders and legal practitioners remain informed of the most important antitrust law developments and their effect on the business world. 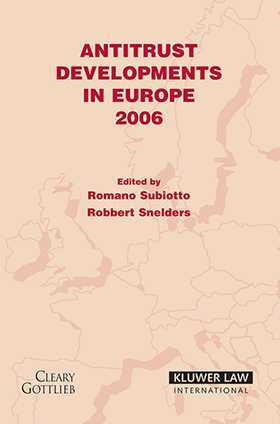 Antitrust Developments in Europe 2006 provides a comprehensive and practical commentary on the past year's major developments in EC and national antitrust law.